Our Walk & Feed service is a great option for anyone going away who wants their dog to stay at home. Most dogs do better in their own home instead of a kennel or unfamiliar home. With a visit from us each day to take them for a walk then feed them as well as collect mail, fill the water bowl up, remove any toilet mess, basic pot plant watering and anything else you require. If you have other animals, we can feed them too. We can come once or twice per day. We love animals and we treat them like our own. Great for security as it looks like someone is still living in the home. You can choose for your dog to be taken to a park so they can be off leash to have a play, some fun and interaction with other dogs or we can arrange for a lead walk from your home around the local area if preferred. 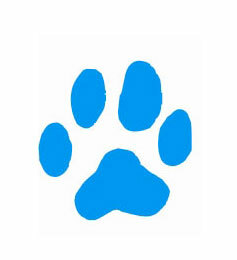 We can also arrange for your dog to be the only dog on the walk if they do not get along with other dogs. Your dog will be delivered back home, tired, content and happy. If you would like to book this service so we can organise to meet with you, please complete our online walk & feed form so we have all the details we require to allocate a suitable walker for your needs. We look forward to hopefully meeting your furry child soon so we can give them lots of exercise, love, attention and treats!